Flipkart, sources said, would benefit from payments-enabler FreeCharge, which is a part of Snapdeal. With rising competition in the e-commerce space in India, domestic rivals Snapdeal and Flipkart may look to merge their operations, sources told Zee Business. The e-commerce space in India has three formidable players -- Snapdeal, Flipkart, and Amazon. The three e-tailers have been battling it out for the leading market share, dishing out discounts which plunged them into losses in the last fiscal, and even raised a red flag with the government. With the new Foreign Direct Investment norms for e-commerce entities in place, it is now difficult for them to take the discounts' path to grab a larger market share. While Flipkart's Myntra recently acquired Jabong to have a one up on Amazon, sources say now arch rivals Snapdeal and Flipkart, may be looking at a merger option. 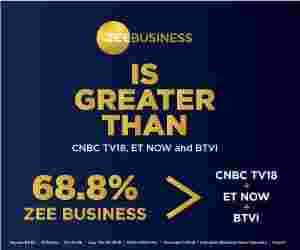 According to sources who spoke to Zee Business, the top management of both the companies have initiated merger talks, a move that would help the beat Amazon in India. The news was reported by Zee Business reporter Anurag Shah. Sources said that Amazon has gone past Flipkart in terms of Gross Merchandise Value (GMV). While Amazon India's GMV was around Rs 2,000 crore, Flipkart's GMV was around Rs 1,800 crore. Snapdeal, although at the third spot, was far away with its GMV at only Rs 600 crore. The move is also expected to help the combined entity tackle competition from Reliance Retail, which may become a formidable rival after a full roll-out of Reliance Jio's services. However, Snapdeal in a response to Zee Business denied having any such merger discussions with Flipkart. “These are baseless speculations, we have had no such discussions with anybody at any point in time,” Snapdeal's spokesperson said in a statement. Snapdeal acquired FreeCharge in a cash-and-stock deal in April last year, to expand its mobile commerce business. Now, Snapdeal is, reportedly, likely to sell a stake in FreeCharge at a valuation of Rs 8,000 crore to monetize its investment. This deal with Flipkart may just be it. Then there are players from outside India who are looking to enter the Indian market. Take Alibaba for instance which is planning to make an entry into the market. The move will further intensify competition. A merged entity will let it tackle rising competition head on, sources said. Alibaba has already envinced interest in Snapdeal and Paytm. Sources say there are investors from Japan who are interested in Snapdeal too. Sources told Zee Business that investors maybe looking for an exit option because of low valuations. They want to consolidate operations before the valuations fall much further, they said. At peak, Flipkart was valued at $1,500 crore (Rs 94,755 crore) but now it's down to about $1,050 - 1,160 crore. In rupee terms, Flipkart's valuation has come down to Rs 69,000-76000 crore. Similarly, Snapdeal's valuation in rupee terms, is about Rs 43,000-50,000 crore. These valuations are on the basis of the last round of funding.